cells in series. When you add about 0.4v for the voltage drop across the Schottky diode, you get 4.4v. 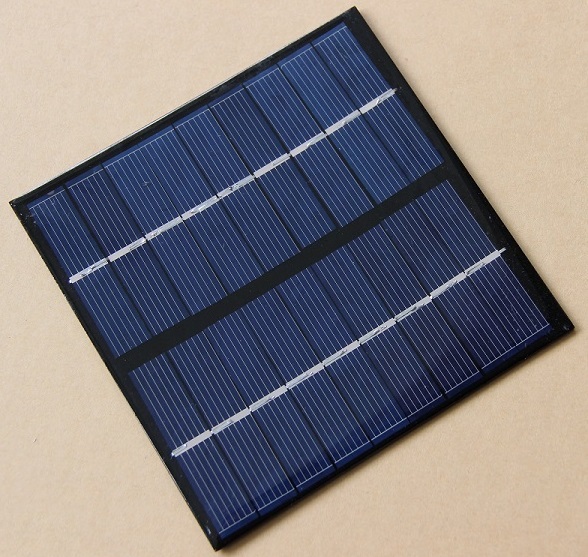 Thus, a 4.5v solar panel is perfect. cells don’t require any fancy charge control circuits. But, I do suggest keeping the charging current to about C/10, where C is the milliamp-hour rating of the battery. However, it is difficult to panels with 9 cells. Most panels from China have 8 or 10 cells. 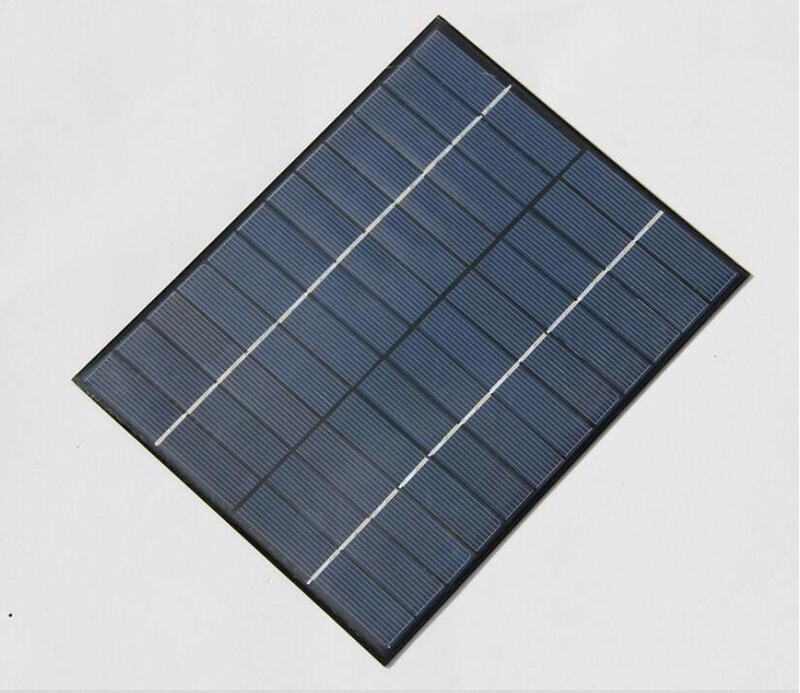 One solution is to purchase an 18 cell 9v solar panel, such as the one shown below, and modify the panel slightly. 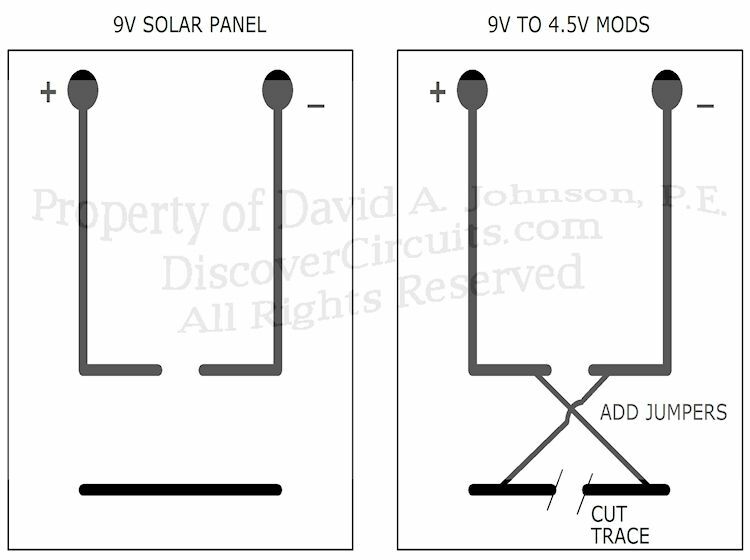 As the photo below depicts, most 9v panels are made of two sections of 9 cells each, wired in series. By cutting the underside copper trace of the panel and soldering two jumper wires, the panel can be converted into two 9 cell sections wired in parallel to form a 4.5v panel, with twice the current as a 9v panel. 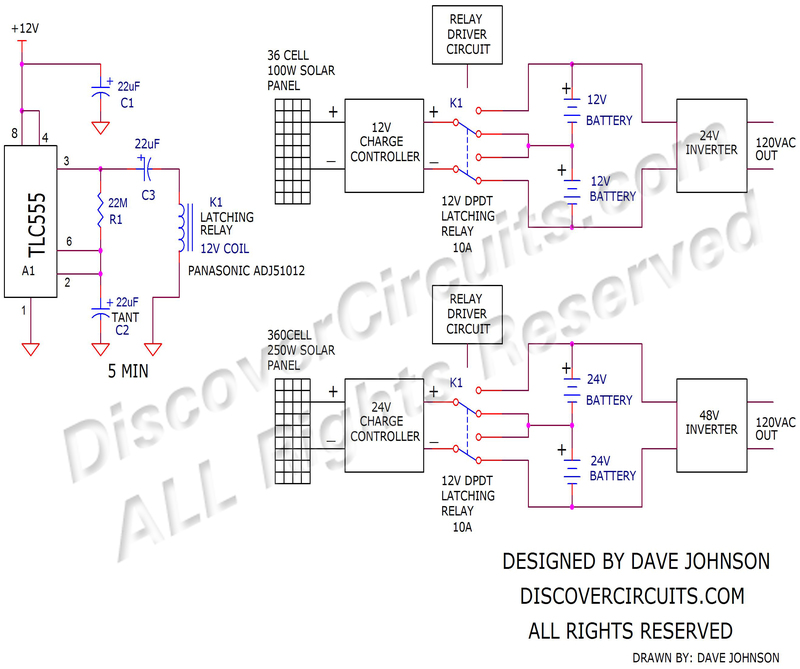 The 2 watt panel below can then produce about 450ma at 4.5v. 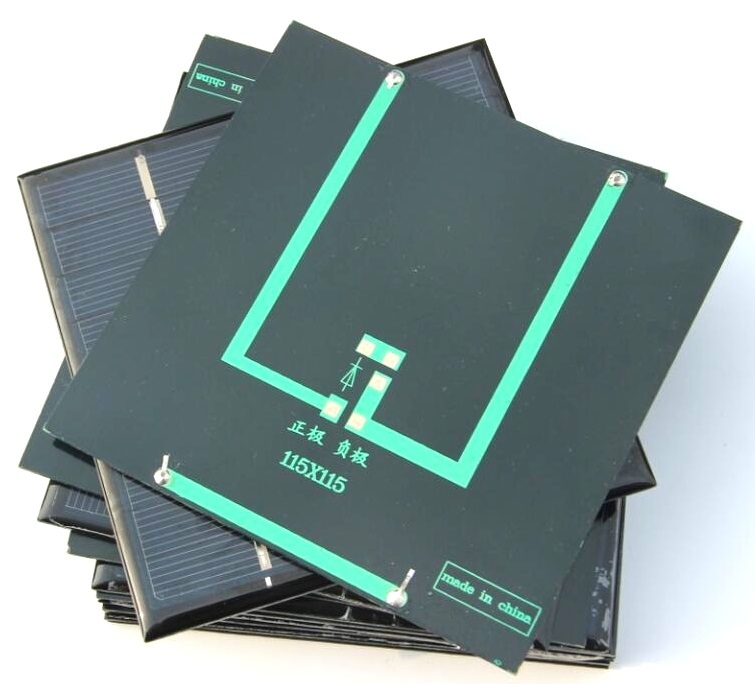 Larger 4 watt panels are also available and can be modified the same way to generate about 890ma at 4.5v. I have also seen some 24 cell 12v panels, which could be converted into a 6 volt panel using the same cut and jumper method.